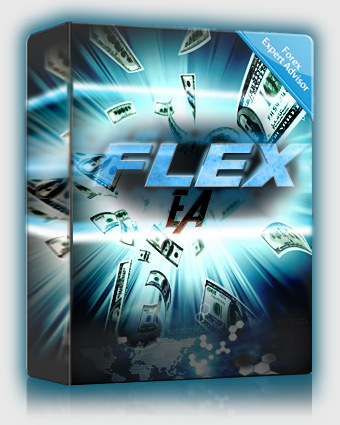 Flex EA uses a newly developed innovative technology involving "virtual trades". Simply put, Flex will open virtual trades in the background, using them to constantly monitor the market to help determine the absolute perfect entry point, at which point Flex will start opening real trades. No automated system out there can work long-term without consistently updated settings. Flex features an automatic update system, so you can be sure your copy is always up to date with the latest, best performing settings for the current market conditions. Yet another new innovative feature we're bringing to the table. Customer account running Progressive FlexHybrid. .set file available in member forums. This account traded the Default strategy, but used 6 max trades instead of 5. Account was tripled in 6 months and then profits withdrawn. Default strategy used in a simple double up and get out technique. This can be rinse repeated over and over! Ready to go out of the box settings, simply plug and play. It's literally a matter of attaching it to a chart, selecting the strategy you want to use from a drop-down list and clicking OK, that's it! Works best on (GBPUSD, USDJPY, USDCAD, USDCHF, EURUSD, AUDUSD, EURJPY, EURCHF, EURGBP, NZDUSD) but can be traded on virtually any charts. There are a few pairs we recommend avoiding in the setup guide. Automated updates, don't get left behind because you're not up to date. When an update is available, you will be notified right inside your MT4 terminal and can update at the click of a button. New market monitoring virtual trade technology brings precision entry points that no indicator can compete with. The default settings will use 6 virtual trades per currency pair to monitor market conditions. Lowering this number will result in less accurate entry points, but higher trading frequency. Raising this number will do the opposite. When the market shifts, this is the one of the main settings we end up changing. If and when that happens, we will send out automatic update notices to everyone so you're never left behind. Flex EA can be setup to trade just about any trading strategy imaginable. All 3 memberships will include all 12 different setting configurations that offer 12 unique trading strategies that you can plug and play at the click of a mouse. Default - This is a hybrid trading strategy of Super Precise, Half Grid and Trend Surfer. v2Default - New v2.0 trading algorithm based off the original Default strategy. Super Precise - This open trades very rarely, but when it does they're often very very accurate. Scalper settings - Scalps small profits during market corrections. Full Grid - You're tradition martingale style trading just like Forex Hacked. Half Grid - Half martingale, so not quite so risky. Trend Surfer - Similar to Super Precise and Default settings. FlexHybrid -We're very excited about the potential of this. This uses similar settings as the Default to open it's first trade, but then any additional basket trades after that are only opened after those same conditions are met again, and again. This results in trades being very spread apart in a dynamic fashion within the basket allowing to survive in the worst of times. This is a very safe strategy to use, however expect to have trades left open for days, maybe even weeks in rare cases. FlexHybrid is a good strategy to trade with 10 charts, on 0.1 - 0.5 risk with Max_Charts of 4-5.
x3Retrace -This strategy waits for slightly bigger market movements than Default would, and will only open a max of 3 orders in it's basket while looking for a retrace. x2RetraceSL -Very similar to the 3xRetrace, but limited to 2 max trade baskets, and uses a SL on all trades. Much safer but not as profitable. BigDefault -Trades just like Default but with a bigger TP(47) and Pipstep(32) which means it looks for bigger trends and reversals. ADRDynamic - A more dynamic approach that uses constantly changing settings calculated by each pairs current ADR(Average Dynamic Range) over the previous 7 days. Solid strategy for ever changing markets. The built in strategies above are just part of what Flex can do. There are enough options available for users to create their own unique strategies. Options ranging from built in indicators like customizable moving averages, RSI, TDI, Stochastics and more. Functions like hedging, news filter, support and resistance, reverse mode, equity trailing, pip trailing and much much more! Is it a one time payment? 24/7, and we will usually respond within a few hours on business days. How soon will it be available after I order? Immediately, you can login to your members area and download it. Best brokers to use with Flex EA? I recommend either Hotforex or FXOpen, they have worked best for me. How often does it trade? This depends highly on the number of charts you run, the strategy you select, and market conditions. If running 5 charts on default strategy, expect 4-8 trades per week. If 10 charts, expect 8-16. What's the minimum amount to trade with? $10 on a nano account, $100 on a micro/cent account or $1000 on a standard account should be the minimum starting balance. 30 day money back guarantee if you're not happy! TradersWay works very well for U.S. traders. By default MM is turned on, and calculates lot sizes based on your account balance(or can be changed to equity). You can turn MM off and select a manual lot size to trade with as well. Do you have a forum? Send your comments through this form and we will get back to you. Be warned that there is a possibility to lose real money if traded on a real money account, and the owner of Forexflexea.com can NOT be held accountable for any losses that may occur including from any potential software bugs/glitches or malfunctions. ForexFlexEA.com and its owner assume no responsibility for errors, inaccuracies or omissions in these materials. They do not warrant the accuracy or completeness of the information, text, graphics, links or other items contained within these materials. ForexFlexEA.com and its owner shall not be liable for any special, indirect, incidental, or consequential damages, including without limitation losses, lost revenues, or lost profits that may result from these materials. We assume that you are legally permitted to purchase and use our products. Making sure that you are following the global and your local laws and legislations is your responsibility. We cannot be held responsible for any damages or lawsuit against you due to such regulations. All information on this web site or any software and or guide purchased from this web site is for educational purposes only and is not intended to provide financial advise. Any statements about profits or income, expressed or implied, does not represent a guarantee. Your actual trading may result in losses as no trading system is guaranteed. You accept full responsibilities for your actions, trades, profit or loss, and agree to hold the owner of Forexflexea.com and any authorized distributors of this information harmless in any and all ways. All rights reserved. The use of this web site and or it's contents constitutes acceptance of our disclaimer.